I have managed to save up quite a bit of money now, but I’m not sure it’s enough as a deposit for me to buy an apartment that I have seen for sale. I have £10,000 saved and the property is for sale for £156,000. Is this enough? How much deposit do I need to buy this property? Heidi, the general rule when buying a property, is the bigger the deposit the better – simply because you will get a lower interest rate and a greater range of mortgage products available to you. However, you should be able to secure a mortgage with a deposit as little as 5% of the purchase price E.g. The property is for sale at £156,000 you will need a minimum of £7,800 (5% of the purchase price) to put down as your deposit. Therefore if you have £10,000 saved already, then you will have enough deposit for a 95% LTV (Loan to Value) mortgage! 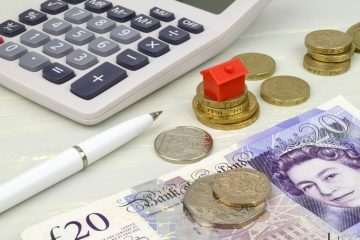 There is however, a greater choice of mortgage available if you can obtain a 10% deposit (in your case £15,600)though, and the underwriting is sometimes a little less strict. 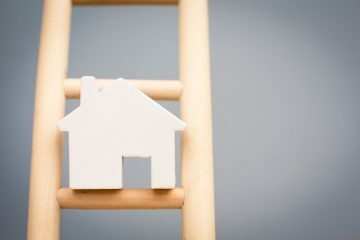 There are some specialist schemes where a mortgage lender will use a parent or grandparents property as security instead of you putting down a cash deposit – these are not very common though, and are a bit more complex than a standard mortgage. Your parents or grandparents would need to seek independent legal advice too as they would be securing borrowing against their home as well as your own. I started in the financial services industry 12 years ago as a Mortgage and Protection specialist, so I have an in depth knowledge of both first and second charge mortgages - as well as buy to let/portfolios, commercial mortgages and commercial bridging finance. I now provide all of my clients with a totally un-biased, whole of market, holistic financial planning service. So I will advise and make suitable, individually tailored, financial recommendations on your pensions and retirement planning, your savings and investments – as well as all of your potential borrowing needs, whilst also ensuring that any financial liabilities are fully protected against the un-expected.